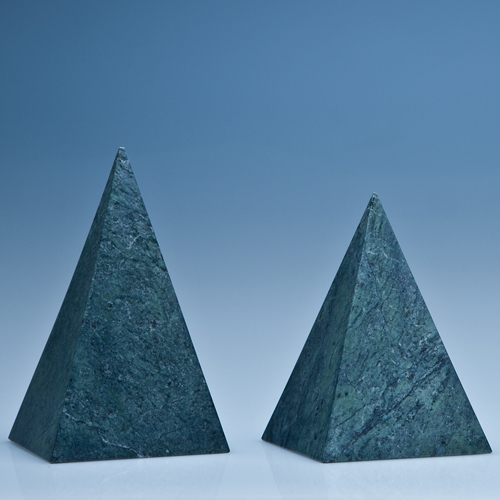 Simple yet elegant and versatile, the 15cm pyramid has been hand crafted from green marble and can be used as an award, display item or as a desk paperweight. One or all four sides of the pyramid can be personalised with any crest, logo or wording to create a gift that is sure to take pride of place when put on display at home or at work. The engraving contrasts perfectly against the green marble when it is infilled in gold or silver for which there is an additional charge. Gift Boxed.